With or Without a Practical Wooden Scoop? 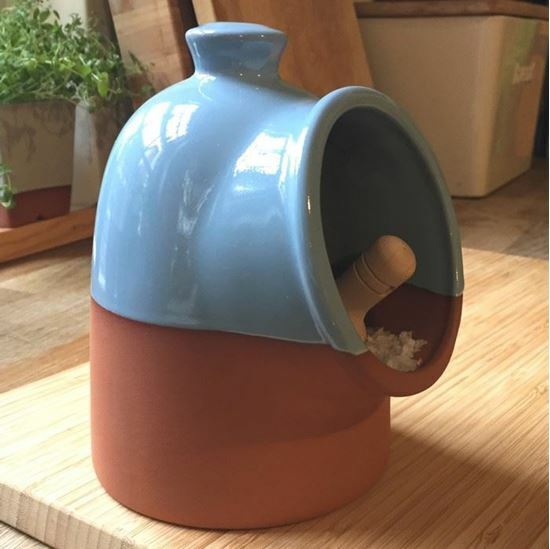 Traditional in design but with a contemporary finish, our terracotta salt pig with contrasting pale blue glaze will look at home in any kitchen. 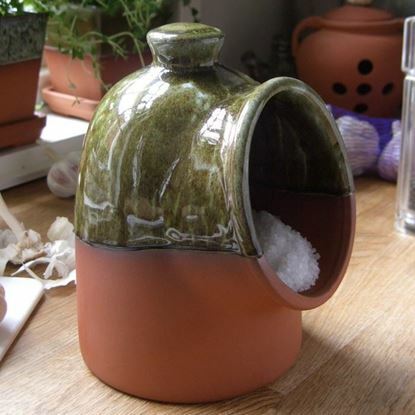 Terracotta salt pigs are a practical and convenient way to store salt, favoured by serious chefs & accomplished amateurs! 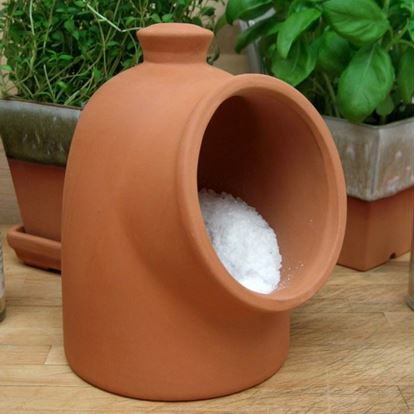 Terracotta is naturally porous & so any moisture is absorbed into the salt pig, helping to keep your salt dry. 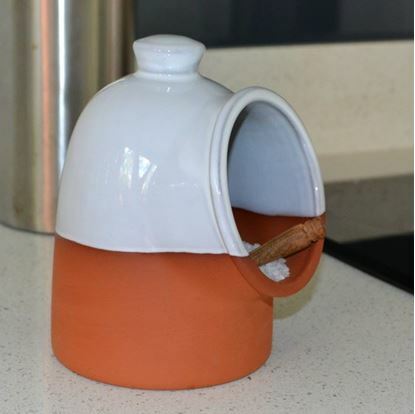 For this reason the inside is deliberately left unglazed. 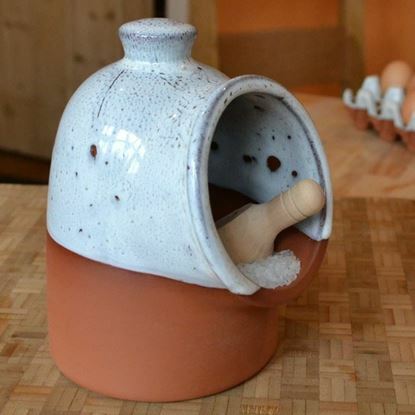 And, why not add an optional wooden salt scoop (9cm long x 4cm wide)? +44 - (0)1636 - 822795.